IN economic downturns, brides and grooms still want to plan memorable weddings which they have always dreamed to have. Brides and grooms are thinking outside the box to plan nuptials from contemporary to vintage according to their specifications. A wedding is one of the most important day in one’s life and the sad part is that the majority want to spend money as if it has gone out of fashion. They write down their wedding budget but along the planning journey they do not follow it, one of the reasons is that they easily get carried away and fail to prioritise. When planning your wedding first start with what is important to you as the bride and groom and what will make the guests feel at home. You should not book a venue which is eighty percentage of your total budget and then make your invited guests scramble for food. A memorable wedding is attainable by whatever budget you have either fat or shoe string budget. Celebrities’ lives are in the public interest, even their personal lives are in the interest of every living inhabitant. Their weddings are a big thing as it is everyone’s cup of tea and this is why they pay particular attention to detail. They have the money to spend on everything they want to see on their wedding day, but what makes a wedding memorable is not just money. I know you are thinking that its money which makes the world go round. We have people who have money but still are not happy in their lives and others have even committed suicide, leaving huge amounts of money behind. As a bride you have been thinking of having a wedding like a celebrity but this idea is being shattered by you not having the money. You can have your nuptial like a celebrity without you having money like them. 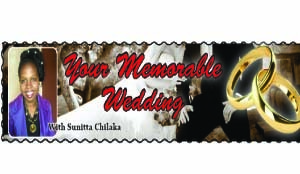 Choose a celebrity who had a wedding that you loved most; they can be more than two, get the pictures from the ceremony to the reception and pin them on a bridal pin board. Look at these photos every day, then write down the notes and see what you can add it. An international celebrity’s nuptials might have some things which are against your Christian values and even the cultural backgrounds might be different, so keep this point in mind. Flowers are key to a celebrity wedding. Tables are filled with abundance of flowers in season and those rarely found as centerpieces, on the back of the guest’s chairs, in the run-way and as backdrops. Celebrity weddings have tall centerpieces which add drama and height to the reception venue but low centerpieces are often less expensive and can create an intimate and romantic atmosphere. You can put fresh flowers in selected points for a similar feel. Lighting always makes a celebrity wedding look more expensive and it adds a wow! Factor to a wedding. Celebrity weddings have coloured lighting everywhere in the room. You can ask your decorator to include lighting in the décor, any lighting can be used even those Christmas lightings they look very expensive when put in the right place. Scented candles can be used to provide an ambience which will leave guests asking how much was spent to put up such a memorable wedding which only the celebrities could afford. The dance floor should be decorated with the most casual and non- public dancing inhabitant in mind. Give them every reason to make them sit on the edge of their chairs all because they can’t wait to be on the dance floor. Guests should prance throughout. Celebrities always love to leave guests with a lasting impression of a wedding so they give them expensive favors and gifts. A favour or gift is not determined by how much was spent on what is put inside but the motive behind. You cannot afford to give each guest a bottle of Champaign as a gift but you can always welcome your guests on a smaller scale by finding something within your budget to give them. It can be chocolate sweets, cupcakes, pens, note books, snacks or small cards. Celebrities love to dress up or down, others call this dress to kill. A celebrity bride chooses two wedding gowns instead of one. The first is all white and the second a party gown to allow her be more comfortable. David Tutera a celebrity wedding planner says if two dresses aren’t on the budget then consider a quick hairstyle or accessories. We have many designers now who are creating convertible wedding dresses that have a removable or pin-able train and interchangeable or removable straps. You can have a top and skirt wedding gown and change the top or skirt before the cutting of the cake. Celebrities love live music, hire a musician or band to entertain wedding guests. We have a lot of upcoming musicians who have the talent that can make guests enjoy every wedding moments. It is not just about hiring big names even the unknown small names can become big and success if we give them a chance to grow and face the real world. Celebrities love to choose colours which are suitable for their skin tones, even when choosing a colour scheme they go for colours which are not too loud and not common at the time of their wedding. The wedding is always stress- free because they sit down with a wedding planner, gives them their vision and does all the running around. Planner is not only for celebrities every bride can afford and really need one. The key success to a successful and memorable wedding is proper planning. Celebrity wedding makes news because they are planned well and they involve the right people with a right attitude who can run with the wedding vision throughout the planning process.